Many economists think that a financial Armageddon is on the horizon in the United States and Europe. While don’t necessarily agree that a meltdown would result in an end-days scenario, doomsday prepper-style, there is certainly an argument to be made for inevitable inflation if out of control deficit spending by governments continues. 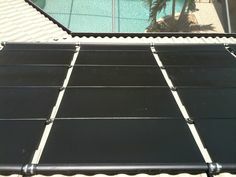 How can solar energy help? Individual and business decisions whether to invest in solar energy are often predicated on the belief that utility electricity rates will increase steadily in the future. Arbitrary average energy inflation rates, based loosely on historical records of varying lengths, are often used in financial models. Averages range from ultra-conservative 0% increases to above 10%. The rate can substantially impact decision making. 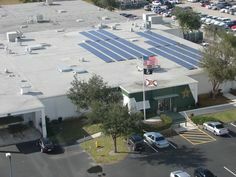 Even when modest future rate increases are considered, solar energy usually provides a reasonable ROI. If energy costs skyrocket, and prices of solar electric systems follows suit, the ROI analysis may not change. The idea is to invest now to hedge against inflation. If you knew what gasoline prices were going to be in 2012, would you have prepaid for $10,000 in gas at $1.00 per gallon in 1982? You would have bought about 25 years worth of fuel, and would still be driving on $1.00 gas today. 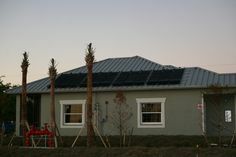 When you buy a solar electric system, you are effectively prepaying for a predictable amount of energy. Instead of miles per gallon, you are buying kilowatt-hours per month. If the energy produced is more valuable in the future than expected, you win! It’s really that simple. Let’s say you invest $10,000 net of incentives in a hypothetical solar energy system, and it starts producing $100 worth of electricity per month on average. While that is not a windfall profit, it is a solid and reliable return on investment. However, what if hyper-inflation takes hold and a few years from now you are producing the equivalent of $500 energy value per month? How about $1,000? All of a sudden you’ll look like your neighborhood’s Warren Buffet. It can happen. It might happen. It has happened elsewhere. Since there is little risk of deflation or decreasing energy costs, and the energy produced by solar electric systems is predictable and reliable, wouldn’t the “gamble” based on possible future inflation be a safe bet? It’s really not a gamble at all – you can’t lose and you might win big! As far as your gasoline price example is concerned you might want to use 1999 or 2000 as your base year starting point to better illustrate the point you are trying to make. p.s. I enjoy reading your blog and think you do an excellent job. I’ll take a look at that. Thanks!